Home » Posts Tagged "water saver"
Pumping your water supply to taps and showers you would naturally think uses more water well it can do but if used the correct way can be a water saver also. The problem with water saving devices is that most will not work on a low pressure water system efficiently, flow restrictors and limiters that are used in water saving taps have far smaller bore holes in them rendering the pretty useless as the water flow is far too slow. If you pressurize your water system with a pump like the Salamander ESP 75 Negative head twin pump which is capable of boosting pressure to a whole house water system then the flow will not be increased above what the limit of the flow restrictor is capable of but the pressure would be increased. This on taps would give an aerated effect and on showers would give a high pressure invigorating shower without wasting water. Make sure that when you purchase any water saving device that you have the minimum pressure to operate them correctly, this is usually about 1.0bar a standard gravity fed water system without a pump normally generates about 0.1 bar. 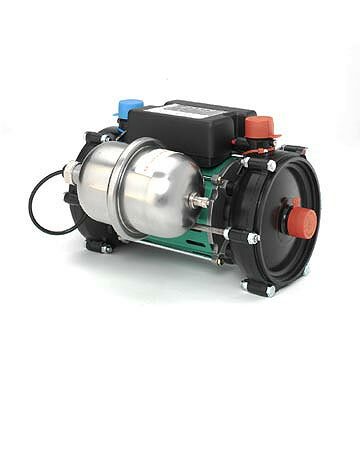 To see the full range of high quality shower pumps and whole house pumps click here. To see a full range of water saving shower heads click here. To see flow restrictors and aerators click here.